Wizkid has signed a deal with P.Diddy to endorse CIROC. The singer made this announcement via series of posts on social media. Recall that the Star boy flew to the US to meet with the business mogul and the moments the two shared were captured in a video that trended on social media. 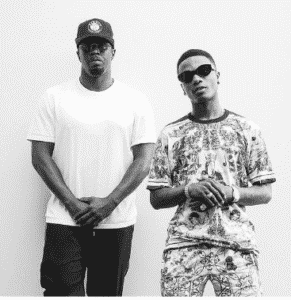 In the video, P. Diddy referred to Wizkid as a black king and stated that he is coming home. Home in that context has been termed to mean Nigeria. Following his visit to America, the land of the free, Wizkid tweeted that he has a big announcement to make in 24 hours from the time the tweet was posted.